Mallard Fencing Club offer free membership to athletes who are members of the FANS Scheme. For further details of joining the FANS Scheme please follow the link on the logo to the Kent Sport FANS Scheme page. 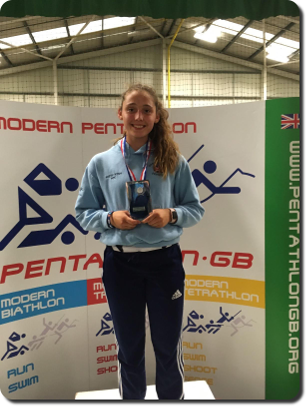 Tierney has received a Kent FANS grant to support her in competing in Modern Pentathlon at National level. Tierney was under 17 National Pentathlon Champion in 2017. Tierney trains at Mallard Fencing Club in Canterbury, Laser Run at North Kent MPC who she also competes in pentathlons through, which is based at Medway Park and trains in swimming at Beachfield Swimming Squad at Sheerness Swimming Pool. The FANS grant will help her get equipment to support in continuing her success in the future. Georgia is an International Foil Fencer who has been selected to represent both England and Team GB at various international events since 2016. Georgia is the current Senior and under 16 Kent and South East Region Foil Champion. Placed 7th at the British Youth Championships in 2017. Georgia trains at Newham Swords Fencing Club's "Elite Squad" three times a week with her coaches Pierre Harper and Linda Strachan and is a member of Mallard Fencing Club. Georgia has been selected to train on the British Fencing Talent pathway and regularly attends their training camps. 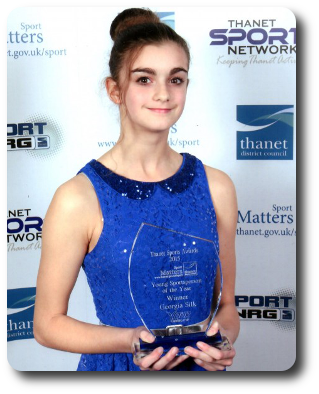 In 2015 Georgia received the Thanet Sports Awards - Young Sportsperson of the Year. The FANS grant has also helped Georgia to get equipment to support in continuing her success in the future. Our other FANS Scheme Members are Jane Clayton - Foil and Epee, Mallard fencing clubs head coach and in 2017 finished 6th place in the World Veterans Championships Foil and 6th in Epee as well. In 2018 Jane qualified for Veterans Foil and Epee teams for Veterans European Championships and Veterans World Championships individual foil and Epee. We also have Helen Easter Beeken who is a Foil and Epee fencer who finished 7th in the British Age Group Championsips Epee 2018.